HTC EVO 4G. - 1500mAh battery capacity. UNBEATABLE VALUE. Compatible With - 3.7v power output. 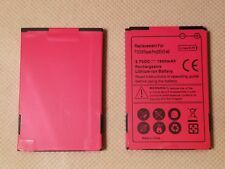 --- [Batteries] (https://stores.ebay.com/wirelessarc1/_i.html?_fsub=33640370011) --- [Other] (https://stores.ebay.com/wirelessarc1/_i.html?_fsub=1) --- [Battery Door Back Covers] (https://stores.ebay.com/wirelessarc1/_i.html?_fsub=33617994011) --- [Bluetooth Headset] (https://stores.ebay.com/wirelessarc1/_i.html?_fsub=33771054011) --- [Bluetooth Speakers] (https://stores.ebay.com/wirelessarc1/_i.html?_fsub=34389862011) --- [Car Charging Port] (https://stores.ebay.com/wirelessarc1/_i.html?_fsub=33617986011) --- [Data Cables] (https://stores.ebay.com/wirelessarc1/_i.html?_fsub=33573230011) --- [Folio/Keyboard Covers] (https://stores.ebay.com/wirelessarc1/_i.html?_fsub=26418190011) --- [HeadPhones] (https://stores.ebay.com/wirelessarc1/_i.html?_fsub=33649955011) --- [Laptop Cases & Bags] (https://stores.ebay.com/wirelessarc1/_i. Used batteries. Worked great. Two of them. I only used the phone for a couple months before switching to a different one. REPAIR PART: HTC Battery RHOD160. HTC Part #: RHOD160. EVO 4G A9292. Droid Incredible ADR6300. HTC AT&T Tilt 2 T7373 ST7377. HTC Rhodium 210. Touch Pro II. Features: - 1500mAh battery capacity - 3.7v power output Compatible With: - HTC EVO 4G. Cell Phones Batteries. All Catalog. Browse our. 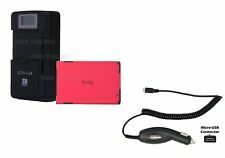 Tablets Accessories. Cases & Covers. 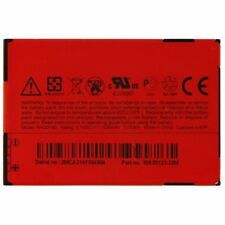 HTC RHOD160RED 3.7v 1500mAh Lithium Ion Battery for HTC EVO 4G - Red Condition is Used. Shipped with USPS First Class Package. This is a new, unused battery, with no signs of wear. Cell Phones Batteries. Let's Get In Touch! Browse our. Cases & Covers. This is a like-new battery with little to no signs of wear. Cell Phones Batteries. Let's Get In Touch! Browse our. Cases & Covers. No exceptions! Exactly as picture shown, original product, perfect fit without modification! Compatibility: HTC EVO Design or Hero S.
Great condition genuine OEM extended battery door cover in white color for HTC Evo 4G. Designed to work with extended battery, not standard battery. No exceptions! Color: White. Exactly as picture shown, original product, perfect fit without modification! 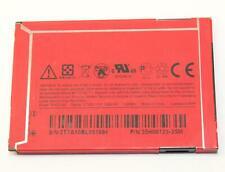 Battery for Nokia BP-5T Lumia 820. Integrated microchip prevents overcharging & lengthens battery life. HTC: BTR6900, ELF, ELF0160, ELFIN, FFEA175B009951, P3050, P3450, P3452, Touch, Touch 3G, Touch MP6900, Touch P3450, Touch Viva, Vogue, Vogue 100, VX6900. Original HTC Battery. 1100mAh capacity battery. Part Number: RHOD160 35H00146-XXM. OEM HTC Original Battery. HTC Original. Battery Capacity: 1500mAh. THIS IS FOR THREE GENUINE HTC RHOD160. Part Number: RHOD160. HTC EVO 4G. Sprint EVO 4G. HTC Dash 3G. HTC Touch Pro 2. HTC Tilt 2. HTC Ozone XV6175. 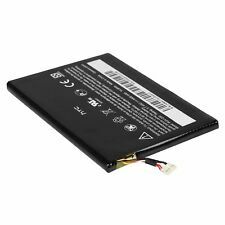 HTC Battery - BJ75100. 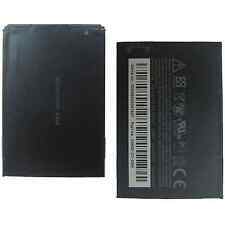 You Receive: One (1) Like New OEM HTC Battery, Model # BJ75100. HTC Part no. 35H00191-00M. HTC Evo Shift 4G. This is a like-new battery with little to no signs of wear. UNBEATABLE VALUE. Compatible With iPhone 8 Cases. Phone Batteries. HTC Manufacturer Part #: BH11100 / 35H00160-01M / 35H00159-01M. OEM HTC EVO Design 4G/Hero S 1520 mAh Battery. Manufactured by: HTC. Type: Lithium Ion Battery. Cellular phones and accessories since 2005. Currently, we. You’ll need to choose that option at checkout. We have done our best to ensure the quality of your product. However, mistakes can. inside the US. THIS IS FOR ONE GENUINE OEM HTC BG86100. Part Number: BG86100. HTC AMAZE, EVO 3D, SENSATION 4G. Other Part Numbers: 35H00166-01M. Replaces part numbers: 35H00123-22M, 35H0012322M, RHOD160. Battery is 3.7 volts, 1500 mAh. Model is 35H00123-22M and manufactured by HTC. HTC Evo 4G. HTC Tilt 2. HTC Dash 3G. HTC Arrive. HTC Imagi XV6975. HTC EVO Shift 4G. This is a new, unused battery, with no signs of wear. Our main warehouse is located right outside of Baltimore, Maryland. Compatible With iPhone 8 Cases. MPN: BJ75100, 35H00191-00M. You’ll need to choose that option at checkout. We have done our best to ensure the quality of your product. About Cellconnexion. 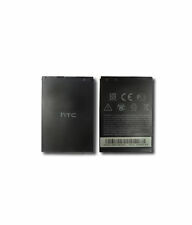 OEM HTC Trophy Standard Battery (1300mAh). HTC Trophy 6985. Be prepared with a spare battery when needed. Check-Out Now! Specifically designed to fit your cell phone. Software that has been opened will NOT be accepted. SNAP Tilt 2 Touch Pro 2. EVO 4G Evo Shift 4G Imagio. 7Pro Arrive Dash 3G. You’ll need to choose that option at checkout. If you have any. Currently, we. inside the US. Battery is from my old phone. With this purchase you will receive 200pc HTC 35H00123-00M BATTERY FOR ARRIVE, DASH 3G, EVO 4G, HERO,IMAGIO. Very good condition , batteries come in polybags . Condition is Used. Shipped with USPS First Class Package. Battery has been used a year or so ago. It worked well a year ago. I would rate it at 8 out of 10. Model :RHOD160. Stay connected with families and friends by getting an extra battery for your HTC Dash 3G EVO 4G Ozone Tilt 2 Touch Pro2. The most indispensable accessory for your HTC is the battery. HTC Hero (NOT for Canada version HTC Hero ). HTC Evo 4G. This is a High Quality 2000mAh Battery for the HTC Evo 4G. HTC Droid Incredible. HTC Touch Pro 2. No new cover needed. Model # RHOD160. HTC Original. Find the item in the list 4. Part # 35H00146-XXM. We promise to do our best to resolve any issue that you may have. HTC EVO DESIGN 4G. HTC HERO S. USED HTC BATTERY - BTR628B. - QTY 1 of Used HTC battery Model # BTR6285B. HTC ACQUIRE. THIS BATTERY IS IN USED CONDITION. · We are not affiliated with and are not an authorized agent or distributor for any carrier, service provider or manufacturer. HTC EVO Shift 4G. HTC Droid Incredible 2 ADR6350. HTC Desire Z A7272. 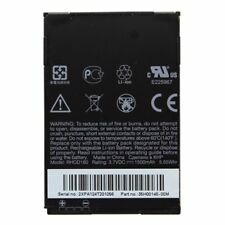 REPAIR PART: HTC Battery 35H00140-00M (BB96100). HTC Incredible S. HTC Mozart T8698. HTC 7 Trophy T8686. 1 x HTC BG41200 Battery. Battery Type: BG41200. HTC Flyer P510E. HTC Accessories. HTC ONE M9. HTC ONE M8. HTC Flyer 4G P515E. Battery capacity: 4000 mAh.